In July books become a necessary accompaniment on vacation, whether you’re headed for the ocean, a pool, or a cabin in the woods. If you have a teenager traveling with you, you want to keep them reading during summer vacation with an intriguing piece of young adult fiction. Two recent books offer compelling stories of young women navigating the difficulties and horrors of World War II in Germany and Holland. Orphan Monster Spy by Matt Killeen and Girl in the Blue Coat by Monica Hesse are exciting choices for keeping your adolescent learning not only about Europe in World War II, but also how to navigate the unpredictability of life itself. In Orphan Monster Spy, Sarah, a Jewish girl, struggles her way out of a car after her mother is shot at a roadblock on their trip out of occupied Austria to neutral Switzerland. Running from Nazis with dogs, she escapes only to bump into a British spy pretending to be a German at an abandoned factory. When he takes her on as his pretend niece, obtaining papers for her, she decides to go back with him to Berlin and help fight those who have taken over her country. With Sarah’s gymnastic training, acting skills, powers of observation, and desire for revenge, she plays the part of Ursula Haller, the niece to a respected German named Helmut Haller, who is in reality the British spy Captain Jeremy Floyd. Floyd is on a mission to destroy the equivalent of a nuclear bomb. He needs Sarah to infiltrate a Nazi girls’ boarding school to become friends with the daughter of the scientist building it. When Sarah agrees to take on this challenge, she puts herself in a situation where obedience to the state is key. Cliques of privileged Nazi girl bullies attempt to endanger her as a new girl and make her life miserable. She must outwit them all to stay in the school and find an opportunity to sabotage her school friend’s father in his attempts to build a weapon of mass destruction. Killeen’s heroine is an appealing, resourceful survivor with a spicy temperament and a profane mind. She may be almost too skilled to be true, but she is not too good to resist succumbing to the ethical stresses war places on a human being. Her machinations and manipulations can be joyful as she outwits her oppressors. They are often morally dubious, and she suffers from the nightmares of war while reliving her mother’s death. She considers herself an engine of revenge. 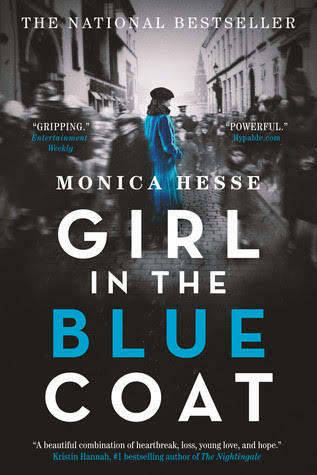 In Girl in the Blue Coat, Monica Hesse presents Hanneke Bakker, a Dutch teen making ends meet for her parents in occupied Holland during World War II. One of the few young women with a legitimate job, Hanneke works for a Mr. Kreuk at his funeral home. He also funds her second, illicit occupation, which involves finding and delivering items to customers in the black market, passing on scarce items such as sausages, lipsticks, cigarettes, alcohol, and clothes for a cut of the profits. Along with other Dutch citizens, she has been scarred by the German occupation. Hanneke constantly remembers her first love, a schoolmate and soldier named Sebastian (Bas), killed while defending his country at the beginning of the German occupation. Hanneke is cynical and opportunistic out of necessity, skillfully flirting with German soldiers to keep them from paying attention to any packages she might carry on her bicycle. When she delivers a black market package to an older woman, Mrs. Janssen, she receives a startling request to find something else before the Nazis do: a young Jewish girl named Mirjam Roodveldt. Mirjam, who wears a bright blue coat, has mysteriously disappeared from her hiding place in Mrs. Janssen’s house without seeming to exit from any door or passageway. Hanneke knows that Mrs. Janssen has come to love Mirjam, particularly in the absence of her husband and three sons. Hanneke herself thinks of her former love, Bas, and realizes that finding this teenager is something he would do. Against her conscious inclinations and because of her continuing affection for his memory, she starts out on a dangerous hunt in occupied Amsterdam, one that will bring her into the middle of the Dutch resistance against the Nazis and the dangerous work of aiding Jews designated for transport to mysterious work camps. Like Sarah in Orphan Monster Spy, Hanneke possesses great resourcefulness, bravery, tenacity and a morality subject to her survival instincts. Yet she also feels a constant sense of melancholy and nostalgia for carefree days past when Bas was alive and before her former best friend Elsbeth married a German Nazi. Her search for Mirjam is a way of emotionally defying her present circumstances and making up for her losses. During her hunt for this lost Jewish girl, she finds that the truth of Mirjam’s disappearance is not what she thought it would be. In this mystery Monica Hesse creates unusual plot twists that become the convoluted paths Hanneke walks to find Mirjam, which also becomes her journey to maturity. Those she comes across often occupy a dubious ethical space between wartime extremes of good and evil. Girl in the Blue Coat is a thoughtful book, one whose provocative puzzle leads to unexpected conclusions. 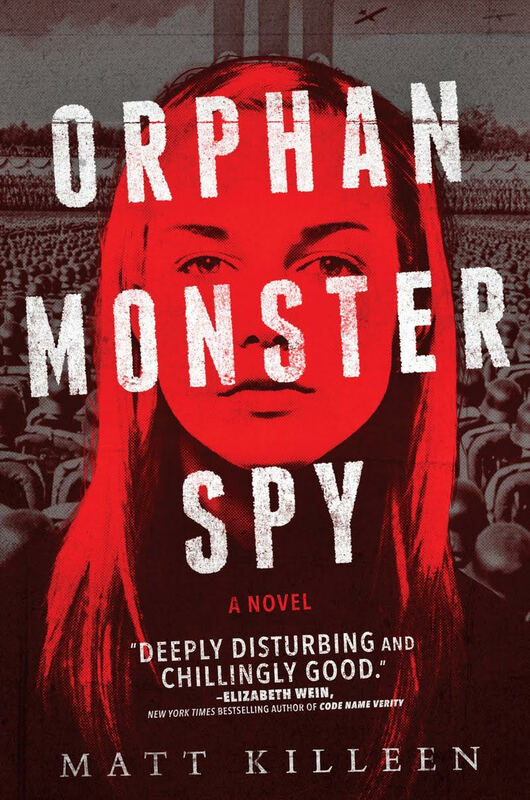 Any young adult can find both the former novel and Orphan Monster Spy exciting and meaningful.